Fans of Enslaved will be pleased to learn the band have completed recording of their as yet untitled 14th studio album. This is a follow up to their last 2015 release ‘In Times’. The new album will feature new keyboard player Hakon Vinje. The release is scheduled for autumn and in the mean time Enslaved will be promoting album material when touring as supporting act with Opeth. Cryptoriana - The Seductiveness of Decay is the title of Cradle of Filth’s 12th studio album scheduled for release this coming September. As per the norm, a concept album themed on Victorian gothic horror with a smidgen of the supernatural centred around self-annihilation. Sounds like a riveting read from a penny dreadful. The melancholy death/doom masters ‘Swallow The Sun’ will bring us a bold, adventurous and characteristically dark triple full-length album entitled "Songs from the North” due out 13th November 2015 via Century Media Records. Incorporating dark menace and gradations of death, black and funeral doom, each of the three albums of embodies the band's unofficial band motto, "Gloom, Beauty & Despair." Darkyra Black, the musical vision of one woman, a vision made reality with the completion of some of europe's best musicians. For those not familiar with Darkyra Black, she takes the best parts of female fronted symphonic metal and bends it to her will with her beautiful soaring melodies. Upon first listen you may liken it to industry greats such as Within Temptation or even Tarja (ex-Nightwish) but in doing so you wouldn't even come close. Very few women in the industry are able to weave music in such as way as Darkyra and make music her own muse. Latest video clip "Tears By Candlelight" proved just that when it took over Youtube with over 30000 views in less than a week. Unfortunately, resulting in an A-typical corporate response to flag it and remove the video. Still, the video has been reintroduced to demonstrate the untapped talent that Darkyra demonstrates and melodies that she bends to her own style. The single will feature on the upcoming 'Dragon Tears' concept album. TORONTO - Hamilton, Ontario-based progressive metal band, VARGA, has just unleashed their 3rd full-length studio recording, 'Enter the Metal,' via the band's own label, Vargantuan Music. 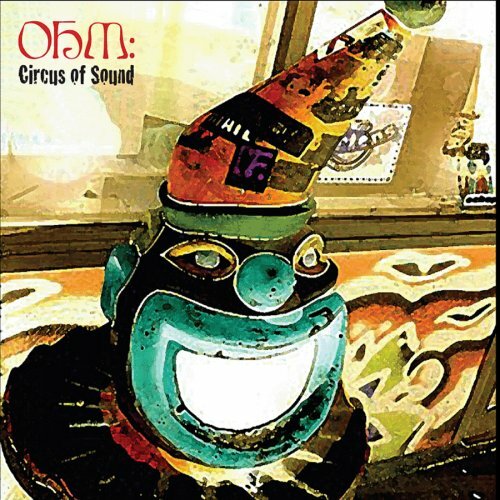 Currently available digitally on iTunes and Amazon.com, there are several formats of hi-resolution downloads available for purchase from the band's own vargahq[dot]com website. CD’s will begin shipping and in stores November 14th, but can be pre ordered from vargahq[dot]com until then. Comprised of members Joe Varga (bass & vocals), Adam Alex (guitar), Sean Williamson (guitar), and Dan Fila (drums), the veteran band (originally formed in 1989) has built a large and loyal following of heavy metal fans, particular in their home country, on the strength of such popular releases as 1994's 'Prototype' (released via the Zoo label), which spawned the hits "Freeze Don't Move" and "Greed," earning the band a thumbs up on the then-popular 'Beavis and Butthead' program on MTV. After over a decade apart, Varga reunited in 2011, and issued their awesome reunion effort, 'Enter the Metal' (their first new studio album in 17 years). As heard throughout 'Enter the Metal,' the long delay between releases has not dulled Varga's penchant for penning inspired and challenging heavy metal in the slightest. Welcome back, lads! Children of Bodom's eighth studio album, Halo of Blood, will be released on 11th June in North America via Nuclear Blast Records. The cover art was created by Sami Saramäki, who was responsible for the artwork on previous Children of Bodom albums Follow The Reaper, Are You Dead Yet? and Hate Crew Deathroll. Children of Bodom's new CD was recorded at Danger Johnny Studios in Helsinki. For the recording of the LP, Children of Bodom has teamed up with recording engineer Mikko Karmila, who worked with the band on their fan-favorite albums Hatebreeder, Follow The Reaper and Hate Crew Deathroll, as well as Swedish producer Peter Tägtgren (Marduk, Amon Amarth), who oversaw production of both vocals and keyboards on the record. The album was mixed at Finnvox Studios in Helsinki. The official press release reads as follows: "And lo, Lee Dorrian, mouthpiece of Cathedral for 23 years, doth solemnly intone the death rites of this mighty British metal Titan. Born in the dying days of Thatcher's Britain, bonding over then-unfashionable, obscure names like Saint Vitus, Pentagram, Trouble and Dream Death. Cathedral's sole ambition was to record a demo tape. In fact they revolutionised doom metal, first pushing their influences into new avenues of grinding extremity, then pioneering groovier forms of '70s-indebted stoner doom." Swedish-based crew The Forsaken are preparing to drop their fourth full-length assault Beyond Redemption. Beyond Redemption surges with forty minutes of the band's modern black/thrash-infused death metal culminating here into some of the most devastating sequences from The Forsaken to date. The album was recorded by the band themselves, and the final product mixed and mastered at the renowned Fascination Street Studios (Bloodbath, Opeth, Amon Amarth, Soilwork). The Forsaken formed in 1997, initially under the moniker of Septic Breed. Following several demos, lineup changes and the name change, the band signed with Century Media for the release of their 2001 debut album Manifest Of Hate, their 2002 follow-up Arts Of Desolation and 2003's Traces Of The Past. The band parted ways with the label in 2009, and following another personnel shift, began the construction of their now pending fourth album Beyond Redemption, through new label home Masssacre Records.